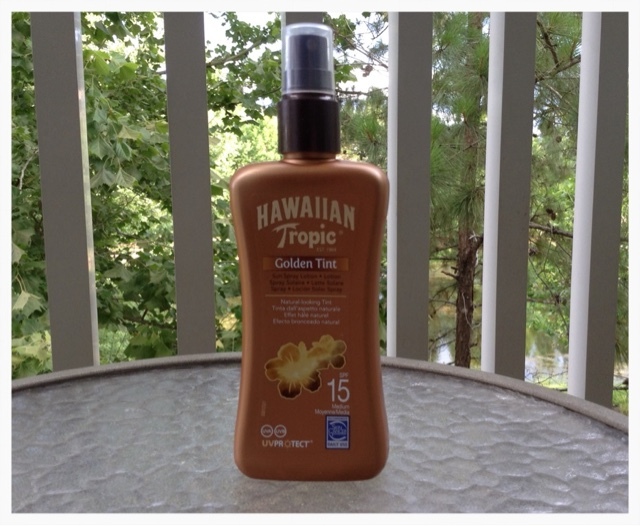 At last a sun cream with a tanning tint included, thank you Hawaiian Tropic! I spied this in Boots and bought it out of curiosity, because even if the golden tint hadn't been all that good I wouldn't have cared, because I love the smell of Hawaiian Tropic. Happily I was impressed with the tanning results too. For a start it sinks in almost straight away and dries quickly and unlike some others I've tried isn't slimy, it's a spray which I prefer as it's more accurate and there is less waste. I used this mostly on my legs and was really pleased with the results. 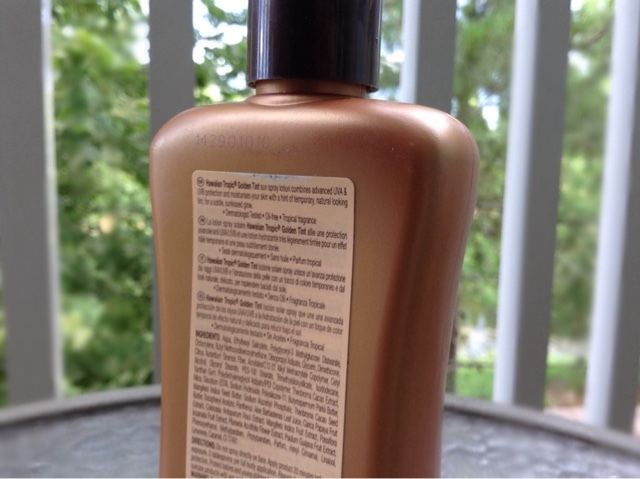 As a red head my skin is very pale and I found this product made them look sun kissed and healthy for my colouring rather than too dark or orange as some of them tend to do on me. I mentioned in the title that it's SPF 15 this means it can't be classed as a sunblock so please don't use this instead of a higher factor cream if that's what you need on holiday. I found this perfect for me in the UK but on holiday I just put my usual SPF 30 or the kids factor 50 over the top and voila, no burning. It isn't a gradual tanner, it's a put on then wash off one so if that's what you're after you're better going for the usual Dove, Garnier, Johnsons etc, however if you're looking for a really nice "day" tan with the added bonus of an SPF then this ones for you. The price is £14.99 which is quite a lot, having said that the price is in line with that of your usual sun creams so I guess it's fair enough. As I said before I bought this in Boots but I know you can get it in Superdrug and I've seen it online as well, more recently on www.thesuncareshop.com and it was on sale there too (bargain). Let me know if you've tried this and what you think.